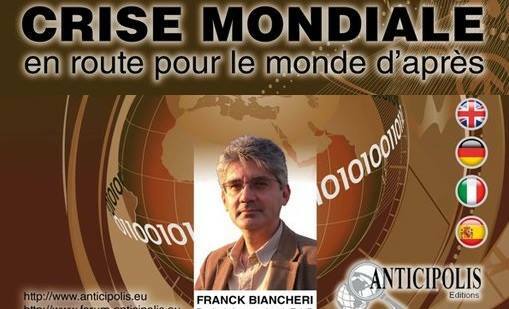 Again an ill-intended website is abusing the name of Franck Biancheri, distorting his ideas for the sake of their “White Europe” ideology. 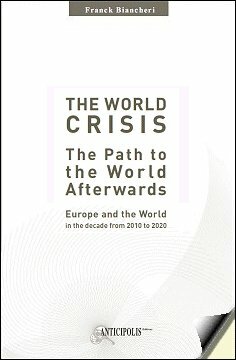 These two sentences are derived from two different parts of the chapter “The decade when Islam converts to Europe” from the book “The World Crisis, the path to the world afterward” (published by Anticipolis in 2010), and pasted together, as well as exited from their context in a way that is misleading as to Franck’s true position. 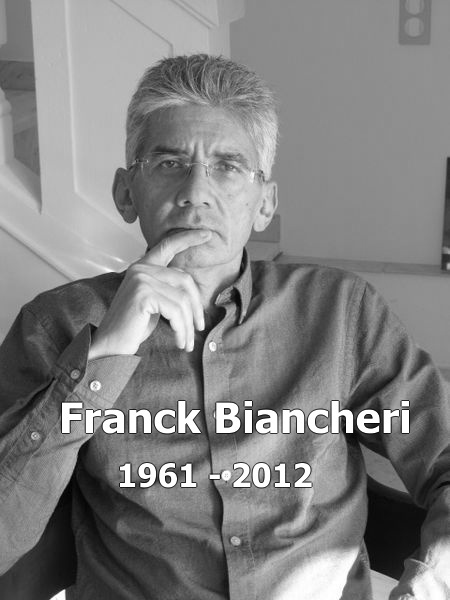 It is therefore our responsibility, as sole heirs of Franck Biancheri’s work and ideas, to publish the chapter from which this quote is derived. Franck’s own (full) words are his best defence. Read here the full part of this chapter (p121-124 from his book). The past decade, with attacks of the 11th September, in London and Madrid, the collapse of the American multicultural model (adopted in the 1970s by the North Europeans), the Danish crisis of Muhammad’s cartoons, the increasing use of anti-Muslim rhetoric by the far-right parties and discussions on immigration which are its “civilized” version for most European parties of the right1, the escalation of Islamic extremists in Europe and the Muslim world has been marked by a very violent interaction between the West and Islam, both taken over by extremists. In Europe, the Americanist lobbies such as that in power in France at the beginning of the decade, fully utilize these trends to push forward their vision of a West in direct conflict with the Islamic world. That also serves as a conduit for their security alternatives thanks to the terrorist threat and allows attention to be diverted from the economic crisis by discussing issues of identity, an inward-looking and therefore irresistible subject “par excellence”. Yet in reality, as opposed to the media’s distorting summarization, one sees a clear trend taking shape that will brand the decade provided that Europeans know how to manage it well. The vast majority of Muslims on our continent are beginning to clearly understand that in Europe Islam must learn to be a religion like any other, essentially limited to private life and subject to compliance with the law and democratic principles, including freedom of expression. Of course there are, in effect, forces in the Muslim world that haven’t yet accepted this basic fact that determines the progress of this religion on our continent. Let’s take three examples: the Danish cartoons of Mohammed, the French law against headscarves in schools and the Swiss referendum against minarets.
. The ban on headscarves in French schools and the absence of minarets on mosques in Switzerland are the first elements of framing Islam in a European religious context, which by its secularism is earnestly concerned to avoid any proactive intrusion into the public arena by one religion or another. A minaret or a scarf both belong to this clear and asserted intrusion into the public arena. In prohibiting them the French and Swiss do nothing other than affirm the importance of the neutrality of this public space. In both cases, thurifers of multiculturalism, which has never had a future in Europe except to produce Geerd Wilders, de Villiers and others, announced serious unrest and radicalization of Muslims in the countries involved. However, absolutely nothing happened. Evidence that the decisions, whilst not being appreciated, have been understood by the vast majority of French and Swiss Muslims. Regarding the cartoons of Mohammed, we touch on an extraneous dimension of the European relationship to religion in a world where information travels very quickly now. Every European has the right to caricature Mohammed like Jesus., Moses or Buddha, or again the Pope, the Queen of England, the President of the French Republic, or homosexuals, the disabled, animal lovers, environmentalists, communists, blondes, Belgians, the French, Germans, Americans, Russians, Africans, Arabs, Jews, those from the Auvergne, Scots or even his own neighbour. If there is a prejudice, it’s for the courts to decide, and not such and such a religious authority or a small activist group. The vast majority of five hundred million European citizens are attached to this right that has taken centuries to wrest from their kings and priests. There is, of course, no question of limiting it. It’s even one of Europe’s strengths that is capable of generating a sufficient uproar to upset other civilizations, ideas, concepts and political models as I mentioned earlier. Europeans have not taken centuries, often deadly, to reach a settled balance, satisfactory for the vast majority of their fellow citizens, to suddenly agree to it being challenged by religious fundamentalists who want to see their law, prohibiting the depiction of Muhammad, binding on all those who do not believe in their religion. In Europe, it is not religion that makes the law, it is the people, through majority votes, and according to democratic principles accepted by the vast majority of the continent’s people. 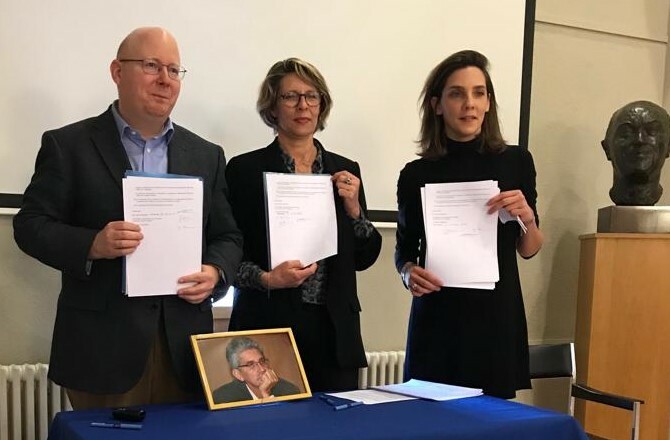 If it is clear that there is no legitimacy to provoke this or that group on its core beliefs (religious, philosophical, sexual, or other) when there is no infringement of the law, in Europe the cartoon is free to choose the target it wants. Moreover, the zealots of the non-representation of the prophet of Islam are often the same people who invoke his name rightly or wrongly, attaching his “legitimacy” on the slightest attack they perpetrate, on the least claim that they make. On these occasions, they seem far less cautious about the orthodoxy, and the believers then seem far less willing to rebel against any hijacking of the spirit and text of their religion. So, let’s not be manipulated by the so-called “impact” of these cartoons on the majority of Muslims, especially when it comes to those who live in Europe. Their vast majority is silent because they really must wonder what it’s all about. So, let’s leave aside the professionals of the alleged irreducibility of Islam to modernity or secular European environment2, and look at the reality of the next decade and see how Islam is in the process of integrating itself into the European religious fabric. In mid-December 2005, I had the opportunity to participate in a lengthy discussion with 25 specialists and experts of Islam at the Hebrew University of Jerusalem, on the theme “Europe, France and Islam”. During these very full exchanges, I had to remind the power relations that exist between Europe and Islam, particularly as to the supposed impossibility of adaptation of this religion. With 500 million people concentrated on a “small piece of land”, the EU can have a big impact on the progression of a religion that only has three times as many believers scattered across several continents. Especially as within the EU, Islam is certainly a growing religion, but in a very small minority (about 20 million believers). In effect, Europeans will put a lot of pressure on Muslims so that they understand that in Europe, Islam must act like other religions, and remain strictly limited to the private realm, while accepting the law and democratic principles. So it is a major common challenge that awaits all Europeans and their Muslim compatriots. How to adapt through education, integration and discussion (and necessarily, sometimes, by argument too) Islam to a secular European context? It is a difficult path, which will see fundamentalists of all sides trying to obstruct. Because from the Christian or Jewish side, there are also trends that really want to see religions again becoming the wellhead of law as they were in Europe until the Renaissance and which see the incidents with Islam as the chance to push forward their own ambitions. This is also why we must be vigilant. As I reminded my interlocutors in Jerusalem, no one should forget that Europe, and Europeans, have a “dark side” that is suddenly capable of generating the worst: expulsions, pogroms, massacres, death camps. The list is long. However, I believe that the continuous rise in influence of extremist and xenophobic forces on our continent for twenty years or so marks the return of this “dark Europe”, muzzled after 1945. Moreover, it has been one of my ongoing aims these last twenty-five years to successfully oppose these forces of exclusion, by embodying a new political option, democratic, open, built to our continent’ scale, on the level at which these forces operate too. However, one mustn’t tempt the “devil” (talking about religion!) and let it feed the forces of extremism by leaving the way open to the attitudes and discussions that find it abnormal that a newspaper should publish a cartoon of Mohammed or which consider that, on the contrary, they are justified in enhancing the religious architectural presence of our cities. Muslim fundamentalists and followers of “politically correct multiculturalism” are the best friends of those who dream of a return to an intolerant Europe. Moreover, European Muslims would be the first victims. Because in such a case, European destiny would again model itself on old patterns, and lead Europeans to a new bloody madness of mass expulsions or anti-Muslim carnage. Clearly, in Jerusalem, these phrases ring out more loudly than in Europe, because Muslims or Jews, from the Crusades to the Holocaust, are aware of this latent European barbarism. But they must also strongly resonate in Europe so that we can maintain this delicate balance that allows Europeans of all religions, and no religion, to coexist peacefully within a common society. To succeed, by integration, education, discussion, it is essential not to succumb to the ease of cultural relativism, to the fiction that there would be legitimate self-proclaimed characteristics, to the intellectual terrorism of the “politically correct”. 1 As clearly demonstrated by the discussion on French identity launched by Nicolas Sarkozy’s team. 2 And many in the “politically correct” camp maintain this type of historical pap. Those are really unforgivable because they are not even believers.